The number of salaried jobs for a life coach in organizations has increased over the past ten years. This week, I received an email from Linked In showing all the jobs I might be interested in, based on my profile as a life and health coach. I was surprised to see ten jobs listed in the email. When I started coaching ten years ago, this would not have happened. 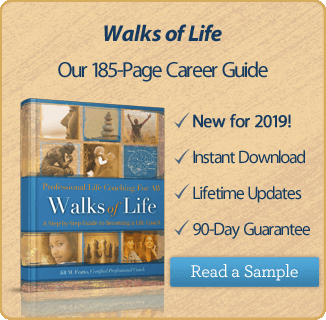 Of course, a few of those jobs listed weren’t a perfect match for life coaching certification, but most of them were legitimate opportunities with companies looking for coaching expertise. Job titles included Head of Virtual Coaching, Wellness Coach, Business Coach and Executive Development and Coaching Partner. As coaching continues to grow, even in the midst of economic uncertainty in the economy, coaching jobs are more prevalent. Companies are hiring certified life coaches for jobs within their organizations. So how do you go about finding and landing one of these jobs? Jobs for life coaches are found largely the same way any other type of job is found- word of mouth, job search engines, company websites, etc. Like I said before, Linked In is also a good resource. 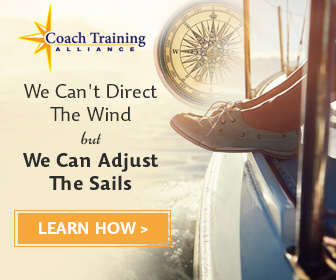 If you are not certified and are looking for a life coach job, be warned. Many jobs as a life coach require certification or some type of specific documented credentials. If a company or organization is going to hire a life coach, they want to know that they are investing in someone with credentials to show they have had proper training in a recognized program. I recently saw an RFP (request for proposals) from the US Department of Justice seeking a life coach to offer coaching to employees in several parts of the US. This particular RFP required that coaches who submit proposals be certified by the International Coach Federation (ICF). Being an ICF certified coach and someone who has promoted ICF certification for years, I was happy to see this requirement. This tells me that coaching is becoming a widely recognized profession and standardized profession largely through the efforts of the ICF and their coaches all over the world. So the first step to getting a life coach job—is get certified. The ICF is the largest and most widely recognized certifying body. It is a safe and smart option for certification. Many schools are accredited through the ICF. You can search for schools by various criteria at www.coachfederation.org. Once you are certified, the second most important criterion to getting hired is experience. This may leave you feeling discouraged if you are newly graduated from a coaching program or you just don’t have a lot of experience. There is almost no way around this other than to get experience. Everything counts. If you were certified through the ICF, you probably did a lot of coaching while in training. This can apply to your experience. You can also gain experience by working for yourself until you find a job or by partnering with another coach who is already experienced and has business to contract. You may have to make a lower rate than you would working for yourself, but you will gain experience and you save the cost and time of marketing and getting the business yourself. 1. Dress for success. As a coach, it is important that your interviewers find you professional and credible. Find out ahead of time what the dress code is within the organization to which you are applying. Even if it is casual dress environment, dress more formally than you might if you were already working there. In a coaching role, you will be trusted with private information. The first impression you make on your interviewers should be one of professionalism. 2. Be prepared. Do your research ahead of time. Find out about the company and their operations. How are they using coaching now? Treat the company like you would a personal client on a first session. Listen and learn as much as you can. 3. Use your coaching skills. Don’t come on like a used car salesman spewing all the benefits of coaching and how you are the person for the job. Use your listening and questioning skills to understand what they need and tell them how you can help create a solution through coaching. It may take time to find a salaried job as a life coach. Be prepared with a plan that will help you gain experience and revenues while you search for the perfect organizational fit. Here are some things you can do to gain experience. 1. Reach out to businesses where you have contacts to share your work as a coach. Even a small contract will give you experience that will look great on your resume. Offer sample coaching sessions to managers that will help them see the value you could bring to the organization. Some companies are still not aware of the benefits of coaching. Starting small will help them learn about coaching and give you experience. 2. Consider bartering with professionals. Small business owners may be willing to trade services with you to gain coaching for their business. This is a great way to get experience. For example, if you know someone who has a consulting firm, yoga studio or landscaping business, you may be able to trade services so that you both benefit without having a cash exchange. Start with people you know as they may be more open to bartering. 3. Offer workshops to companies. To get your foot in the door, offer small sessions such as “Lunch and Learns” where you present useful information to employees and hopefully gain company or individual business as a result. The presentations look good on your resume and show that you were able to get in to the company to provide a service. 4. Consider adding to your skill set. Most coaches do more than just coach. If you want to get into a specific type of work with a company, find out what other skills would help you. Are companies looking for individuals qualified to perform assessments? Could project management skills add to your coaching resume? Build your skills around the work that you want to perform. 5. Finally, expose yourself to as many organizational coaches as possible. If you are in an area where there is a professional coaches group, join it. The ICF has local chapters all over the country. This is one of the most valuable things I did when I started coaching. This gives you access to coaches doing all types of work. Most coaches are willing to help each other and share successes and challenges. They can even lead you to potential employment. As the coaching profession continues to grow, organizations will continue to create new positions that require coaching skills. This is an exciting time to be a certified coach. Because of the spreading awareness of coaching and its benefits, coaches are less likely to have to educate the client or company about the nature of coaching. The key is developing your skill set and selling yourself to your potential employer.